In classes, private lessons and workshops, Lizzy emphasizes strong, clean Fusion technique and the development of individual style. Students learn and refine the basics while embracing elements of the Dark Fusion style, such as alternative body positioning and sharply contrasting movements. Students are encouraged to tap into and harness deep emotions and infusing dance performances with striking energy and intensity. Most of all, Lizzy helps her students to find their own artistic voices. While Dark Fusion may not be for all dancers, Lizzy’s instruction is a valuable addition to anyone who wants to add more complexity and theatricality to the characters and feelings they portray in performance. 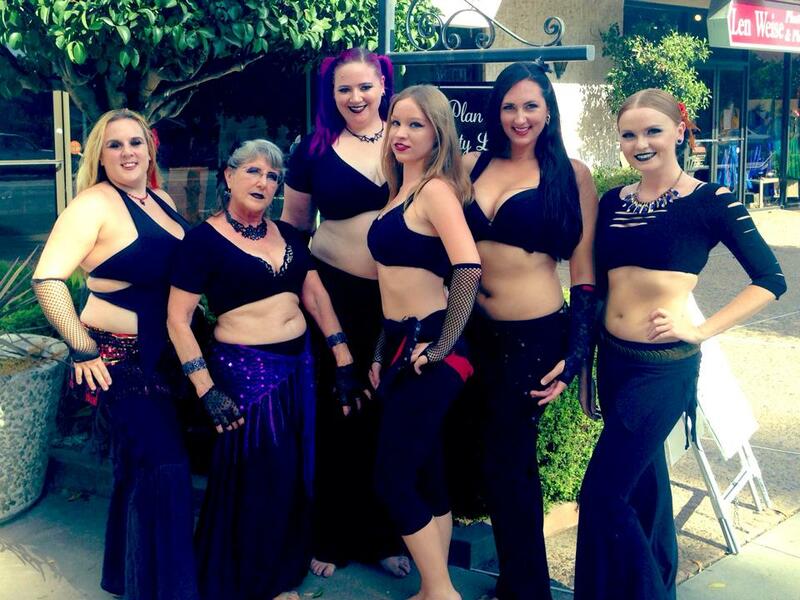 Photo of Lizzy’s Dark Fusion class, HaflAdira, September 2014.